Well, these guys look kinda sheepish, don’t they? Or should that be ‘foxish’? They’re supposed to be foxes, as I’m sure you can tell, but the expression on their faces reminds me of the look my dog gets when he’s done something he shouldn’t have, and knows he’s in trouble for it! Animal faces on shoes is nothing new, obviously: in fact, it’s something we’ve been seeing rather a lot of over the past few months. 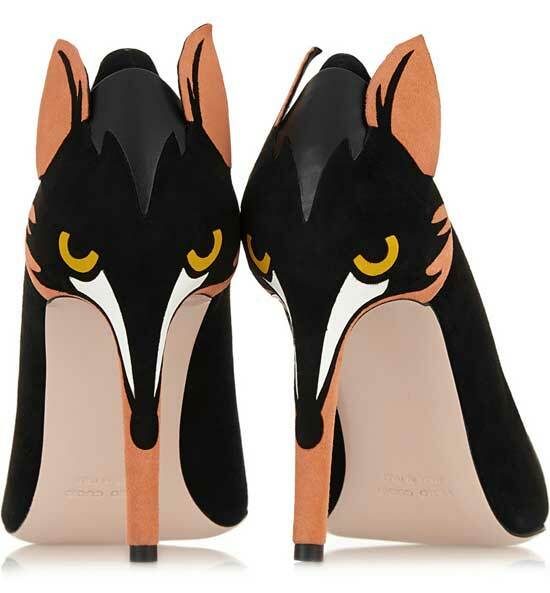 These particular shoes are actually a little tamer than some of the styles I’ve featured, purely because the fox face is on the heel, rather than on the vamp. From the front, these would look like a perfectly ordinary pair of black suede pumps – in fact, the shape is almost “sensible”, isn’t it? As I said, however, they may be quirky, but the black upper, and the fact that the face itself is fairly stylized, could make them easier to pull off than some other shoes I’d put into the “novelty” category. In fact, from a distance, people might not even realise that’s a face on your heel: they might just assume it’s some kind of abstract pattern – assuming the ears didn’t give it away, obviously. What do you think? Would you wear these unusual shoes? 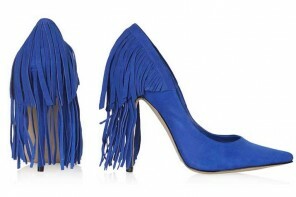 I wouldn’t wear them, but they’re cuter than the idea of a face-on-a-heel would seem! I’m not a fan of the ears, but otherwise they’re ok. 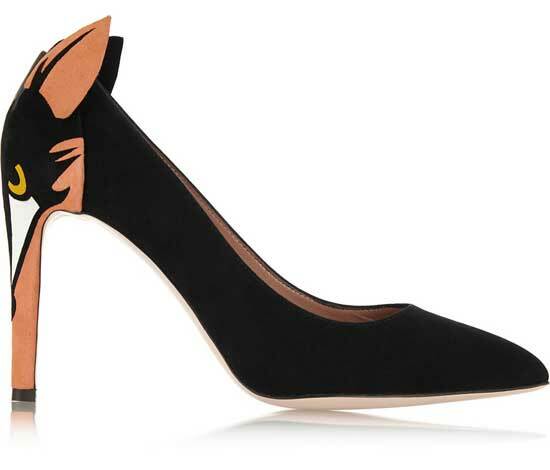 I like those Fox Pumps. Where can I buy them?